This new collection of Photoshop beginner tutorials contains some of the most comprehensive tutorials on how to create selections in Photoshop. 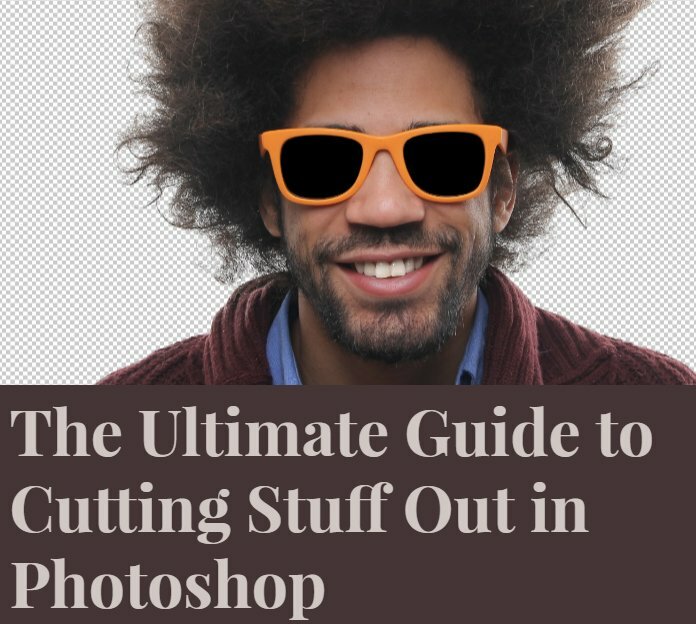 If you are a Photoshop newbie you must know that selections are commonly used in Photoshop for cropping objects, for removing and replacing backgrounds, for creating work paths and many more. So it is really important to understand how to make a selection in Photoshop and how to efectively use the Photoshop selection tools. The selection tools are used to facilitate the process of making selections of shapes, colors, and objects inside of Photoshop, and positioning them in the working image area. With tools like the magnetic lasso and magic wand, Photoshop packs a powerful array of selection gadgets! A review both quick solutions, and on the other side, comprehensive and details techniques for making selections. The more methods you know how to use, the faster and more effectively you'll be able to make and use selections in Photoshop. The following will show you the chroma selection - color selection, luma selection - luminosity selection and mask selection. This article explains some of the different and powerful selection tools that are available in Photoshop. This guide is aimed at beginners, but can hopefully provide a few extra pointers for more advanced users. A quick look at eight popular methods for creating selections in Photoshop and where each is the most applicable. This article describes how to make a selections using marquee tool, lasso tool and others. If you're a more advanced Photoshop user, you'll probably head straight for the Pen Tool, the tool of choice for making professional quality form-based selections. But if you have a good quality mouse (or even better, a pen tablet), decent drawing skills and a little patience, you may find that the Lasso Tool, another of Photoshop's basic selection tools, is all you need. In this tutorial, we'll look at one of the most common and easiest selection tools to use, the Rectangular Marquee Tool, one of Photoshop's basic selection tools that, along with the Elliptical Marquee Tool and the Polygonal Lasso Tool, is designed for making selections based on simple geometric shapes. As the name implies, the Rectangular Marquee Tool is perfect for times when you need to draw a selection in the shape of a rectangle or a square. The Elliptical Marquee Tool, which is what we'll be looking at here, is another of Photoshop's basic selection tools. It's nearly identical to the Rectangular Marquee Tool and works much the same way. In Photoshop 3, they introduced the Color Range command as a replacement of sorts for the Magic Wand. Yet for all its advanced features and flexibility, not to mention its vastly improved results, the Color Range command became nothing more than one of Photoshop's best kept secrets while the Magic Wand remained the tool of choice for most users. In this tutorial, we'll learn why the Color Range command, not the Magic Wand, is the tool you should be using when making tone and color-based selections. We can make simple geometric selections with the Rectangular Marquee Tool or the Elliptical Marquee Tool, or freehand selections with the Lasso, Polygonal Lasso or Magnetic Lasso Tools. We can select areas of similar color or brightness values with the Magic Wand or Color Range command. We can paint or refine a selection manually with a brush in Quick Mask mode or by using a layer mask. We can make surgically-precise selections with the Pen Tool, and more! We can even combine different selection methods when none of them by themselves seem to be up to the challenge. Photoshop has so many ways to cut out backgrounds and isolate objects, it sometimes seems like it was the sole purpose the program was created. This article is detailing 50+ ways in which you can delete, erase, mask, hide and remove backgrounds in Photoshop. 1 comment(s) for "Photoshop Selection Tool Tutorials for Beginners"